Toyota Kirloskar Motor has launched a new festive season campaign to offer additional benefits to owners of Toyota cars in India. 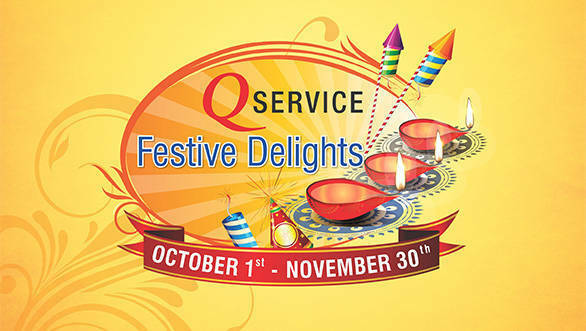 The Q Service Festive Delights campaign will run from October 1 to November 30, 2015. The campaign is targeted at customers who get their vehicles serviced at Toyota's authorised service centres. The list of offers include 35 per cent discount on car care treatments, 60 per cent discount on accessory packages and assured gifts on purchase of tyres and battery. For those in a hurry and opting for Toyota's express 60 minute maintenance service will stand a chance to participate in a weekly lucky draw. 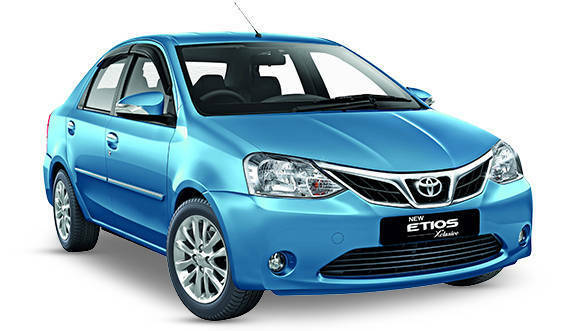 Toyota Etios customers who are celebrating the third anniversary of their vehicle will get added benefits. Topping the list of gifts is a trip to Dubai for lucky customers. In addition to these benefits, Toyota has also slashed rates of its Road Side Assistance by five per cent as part of the festive offers. Speaking about the new festive campaign, B. Padmanabhan, vice president , Customer Service Group, Toyota Kirloskar Motor, said, "Toyota Kirloskar Motor is a customer centric company that continually innovates and improvises to ensure we exceed customer expectations at every touch point. We are extremely delighted to announce our Q Service Festive Delights Campaign , the exciting range of offers is our way to express our gratitude towards the trust and admiration of our customers for our products and services. We at Toyota are constantly striving to ensure that our customers are satisfied not only at the time of purchase but also during the ownership period of their vehicle. We look forward to a great festive season and we are sure we will add to our customer's celebrations with our amazing offers." Bangalore, 5th October 2015 - Toyota Kirloskar Motor (TKM) cheers customers this festive season with the launch of 'Q Service Festive Delights' across all authorized Toyota dealerships in India. The campaign that will run for two whole months, from October 1  November 30 is sure to pamper customers by indulging them in a wide range of offers that will make the upcoming festivities brighter! The campaign has an assortment of exciting packages & offers like: · Dubai trip Package for lucky customers · Weekly lucky draw on EM 60 (Express Maintenance in 60 min-Toyota Unique Initiative) · Attractive gifts and offers for Etios customers celebrating 3rd year vehicle anniversary · 35% off on car care treatments · Upto 60% discount on select accessory packages · Assured gifts on purchase of batteries · Assured gift on purchase of Tires · Attractive offers on U-Trust · 5% discount on Road Side Assistance [RSA] The new campaign is a result of Toyota's customer first philosophy and the revolutionary Quality, Durability and Reliability (QDR) ethos that describes the company's values and aspirations. Speaking on the launch of the Festive Campaign, Mr. B. Padmanabhan, Vice President  Customer Service Group, Toyota Kirloskar Motor, said, "Toyota Kirloskar Motor is a customer-centric company that continually innovates and improvises to ensure we exceed customer expectations at every touch point. We are extremely delighted to announce our "Q Service Festive Delights Campaign", the exciting range of offers is our way to express our gratitude towards the trust and admiration of our customers for our products & services. We at Toyota are constantly striving to ensure that our customers are satisfied not only at the time of purchase but also during the ownership period of their vehicle. We look forward to a great festive season and we are sure we will add to our customer's celebrations with our amazing offers."